A rally against fascist attacks in Odessa and in the U.S., outside the U.S. Military Recruiting Center in New York’s Times Square, May 2. 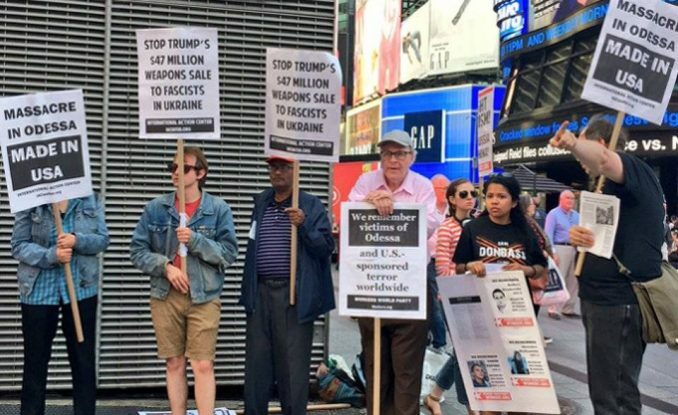 On May 2, the fourth anniversary of the Odessa massacre in Ukraine, the International Action Center held a protest and memorial outside the U.S. Military Recruiting Center in New York’s Times Square. Those attending took turns reading the names of activists who died in 2014 when Nazi gangs invaded the multinational seaside city of Odessa, torched a protest encampment and then set fire to the nearby House of Trade Unions, where people had fled. Protesters chanted, “U.S.-backed fascists kill! From Odessa to Charlottesville!” and handed out informational leaflets, drawing the attention of many people passing through the busy area during evening rush hour. Kayla Popuchet of the IAC denounced U.S. collaboration with neo-Nazi gangs. 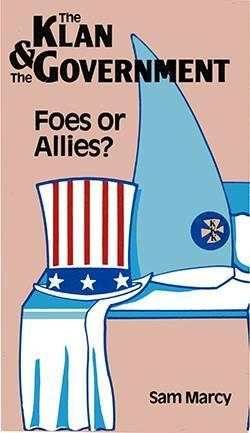 “The U.S. government helped overturn the elected government of Ukraine, then murdered 48 anti-fascists in Odessa. Actually, we believe many more died,” she said. Taryn Fivek of Workers World Party recalled: “I cried when I heard about what happened four years ago in Odessa. I didn’t imagine then that a few years later I’d be in Charlottesville, Va., facing a similar situation,” when white supremacists drove a car into anti-fascist counterprotesters, killing Heather Heyer. “We need to stay in the streets and keep fighting the fascists,” Fivek declared. Anna Rebrii, a native of Lugansk representing the United National Antiwar Coalition, explained that families of Odessa massacre victims continue to be persecuted by Ukrainian authorities and right-wing goons. She said May 2 actions throughout the world were honoring the fallen anti-fascists and demanding protection for their families. Popuchet read a statement from Alexey Albu, a survivor of the massacre and coordinator of the banned Marxist organization Borotba: “We declare that we remember every deceased defender of the city and do not intend to forgive those responsible.